Calling all EcoGeeks! 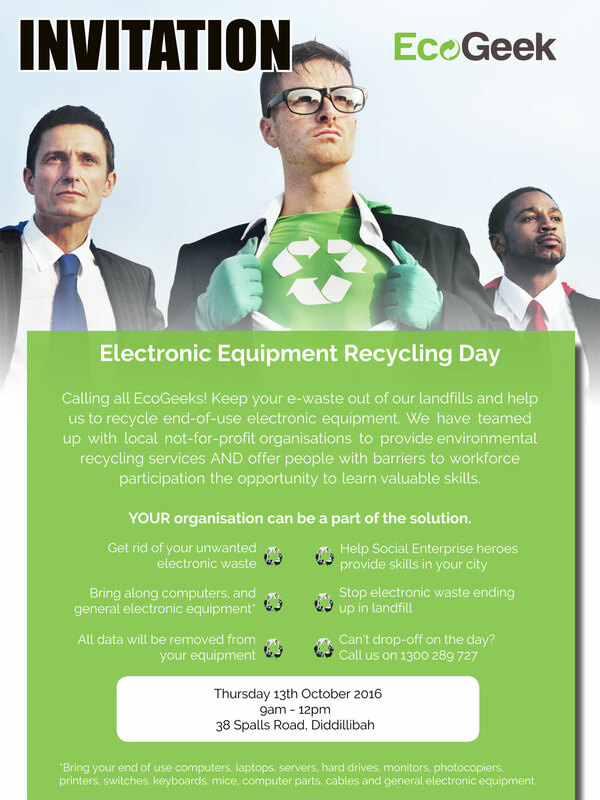 Help us to keep e-Waste out of our landfills and recycle up to 90% of end-of-use/life electronic equipment. We will be running this drop-off service monthly between 9am and 12pm so come on down to drop off any electronic equipment you are no longer using. *Bring your end of use computers, laptops, servers, hard drives, monitors, photocopiers, printers, switches. keyboards, mice, computer parts, cables and general electronic equipment.